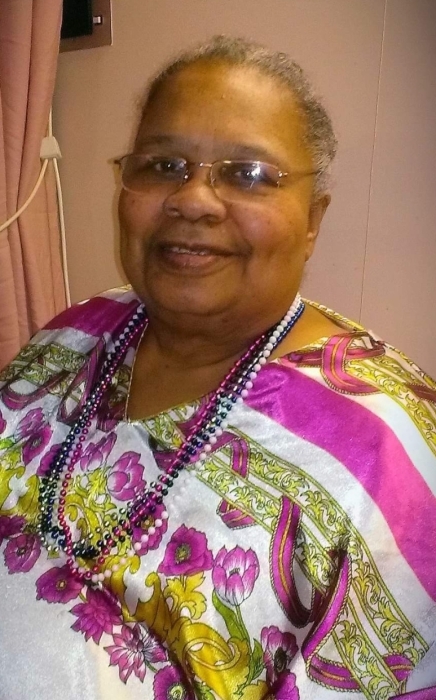 On Monday, November 26, 2018 Arlene Harris, loving mother of four children, passed away at the age of 73. Arlene was born on May 12, 1945 in Washington D.C. to Robert and Madeline Harris. She was a Nurse for over 30 years. She had a love for education and travel. Every state she lived in she took classes at the local University or College. She loved everything about nature from Geology to Astronomy. Arlene had a passion for the Arts. She loved all types of music from Classical, Opera, R&B to Hip Hop. Her love of travel led to roadtrips exploring the United States from the East to West coast. She was a Writer, Poet and Orator. She is known for her quick wit, infectious smile and her kind and compassionate spirit. Arlene is survived by her four children; Eric, Elliot, Elizabeth and Melissa. Six Grandchildren; Christopher, Brittany, DeShawn, Olani, Marqueese and David. Five great-grandchildren Nathan,Serenity, Christopher Jr., Riley and Laila. She re dedicated her life to Jesus Christ and her family is at peace knowing she is with her heavenly father.